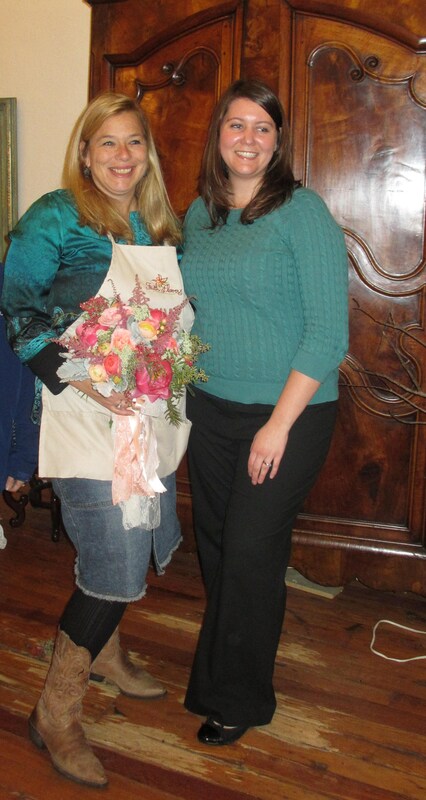 This week I had the opportunity to return to Faith Flowers in Atlanta for a Master Class with designer Holly Chapple. 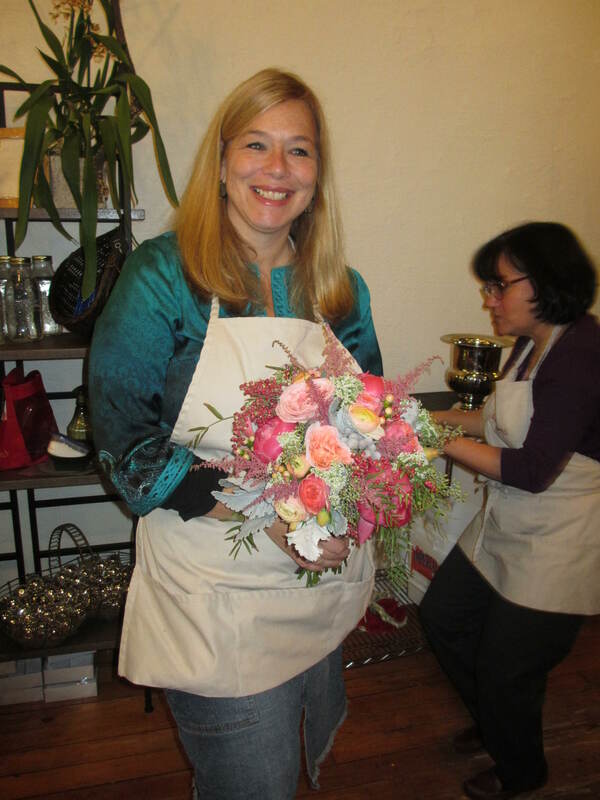 She is well known around the country and especially in the greater Washington D.C. area for her incredible wedding flowers. 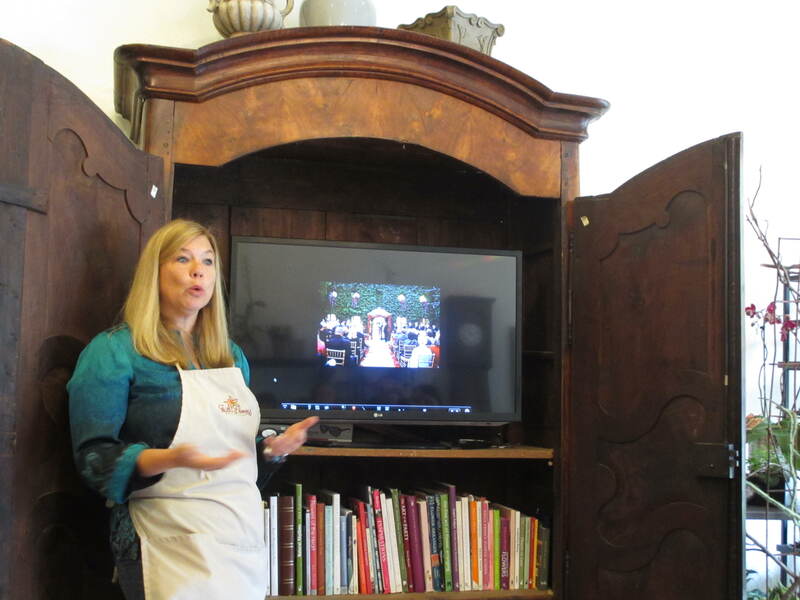 Her studio produced an astounding 170 weddings last year! Holly is so honest and down-to-earth. I wish we could have spent two days learning from her. 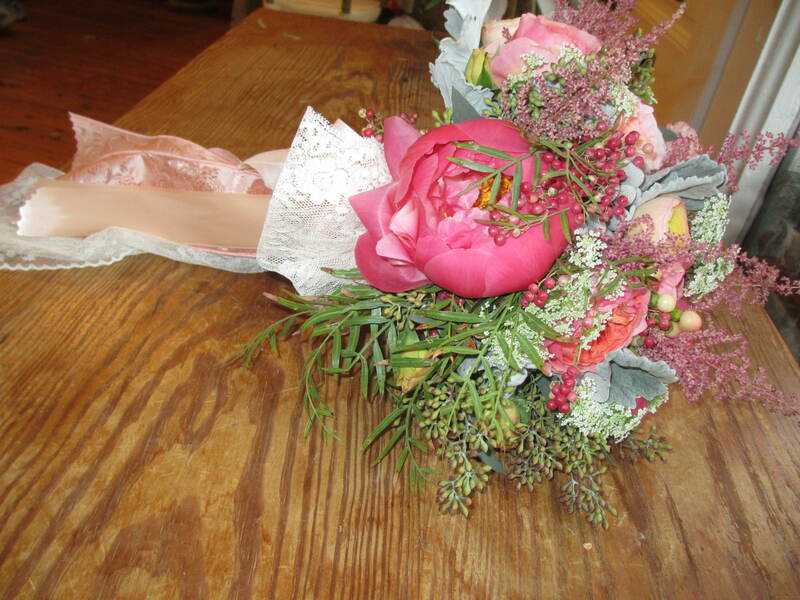 Check out her blog, The Full Bouquet (but don’t blame me if you’re still sitting here reading it a few hours from now)!! Holly showed us dozens of not-yet published or not-yet-revealed photos of her work. 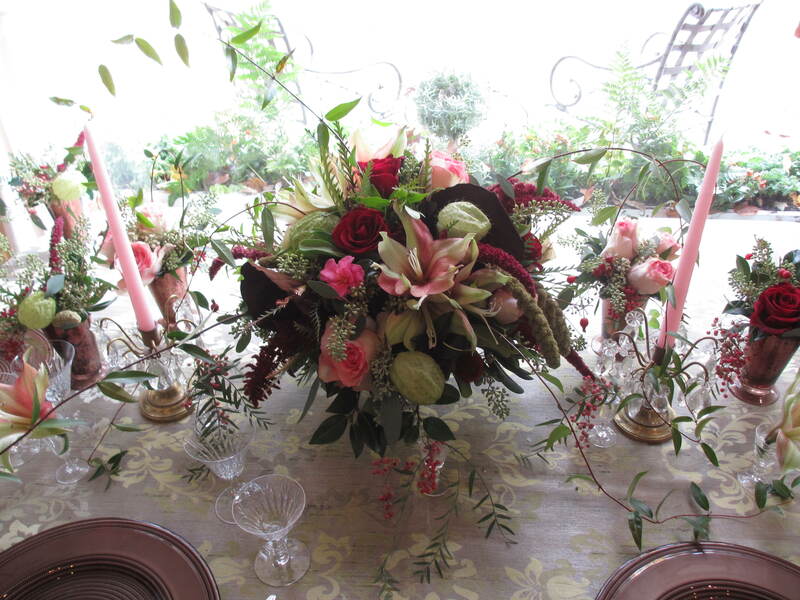 She routinely styles events and photoshoots for various photographers in her area in addition to all her weddings. 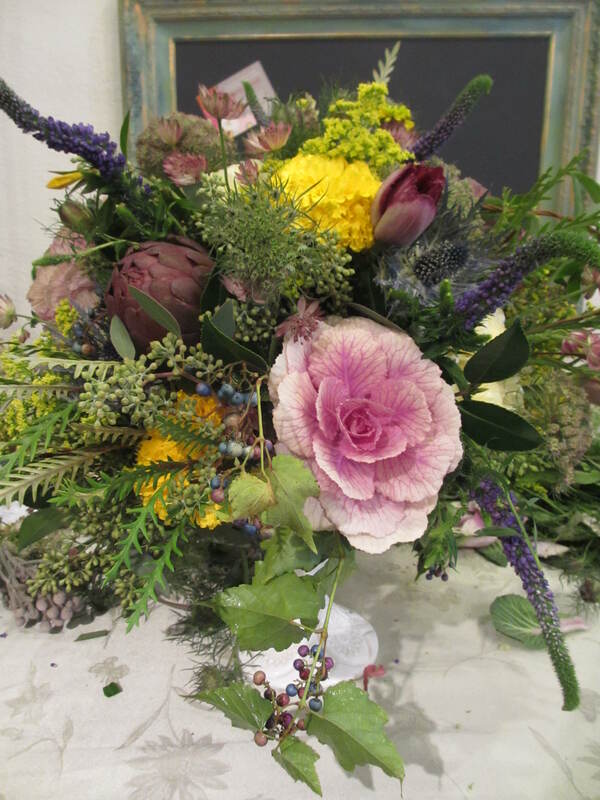 Often the flowers for the shoots come directly from her garden – check out this beautiful shoot! Holly’s husband, Evan, provides lighting, drapings, set-up for their weddings, and takes care of their growing agricultural business & garden. Oh, did I mention they also have seven children?! What an amazing team!! 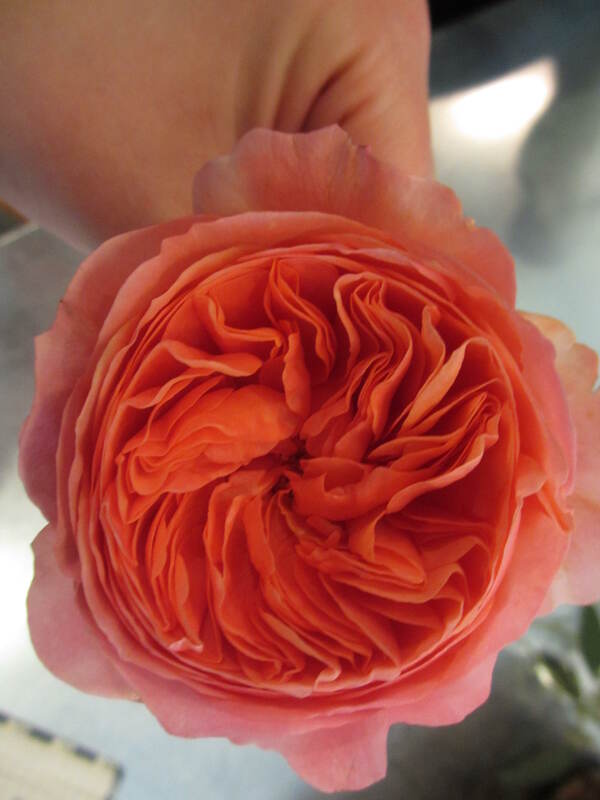 Garden Rose – smelled amazing & fruity!! 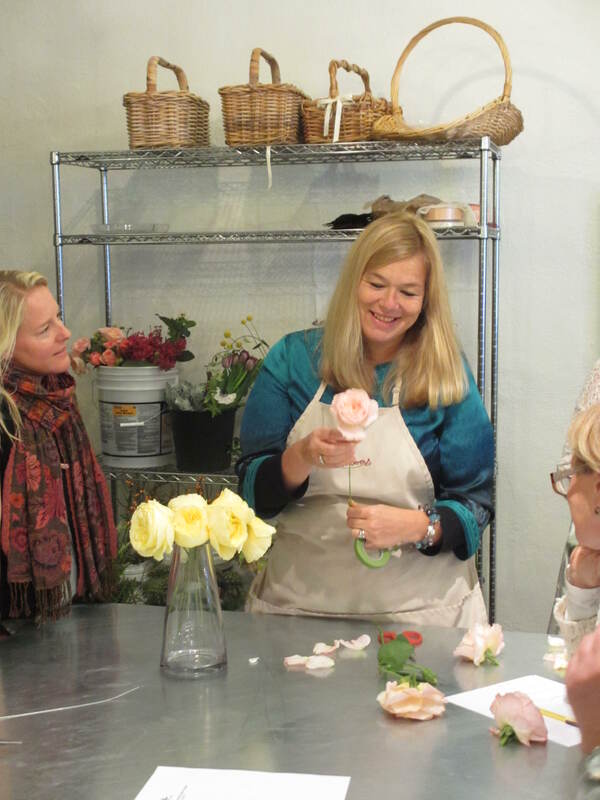 Throughout the day, Holly shared priceless advice with us on topics like how to get our designs published, reaching our ideal clientele, and practical tips for dealing with the day-to-day aspects of running our own floral businesses. 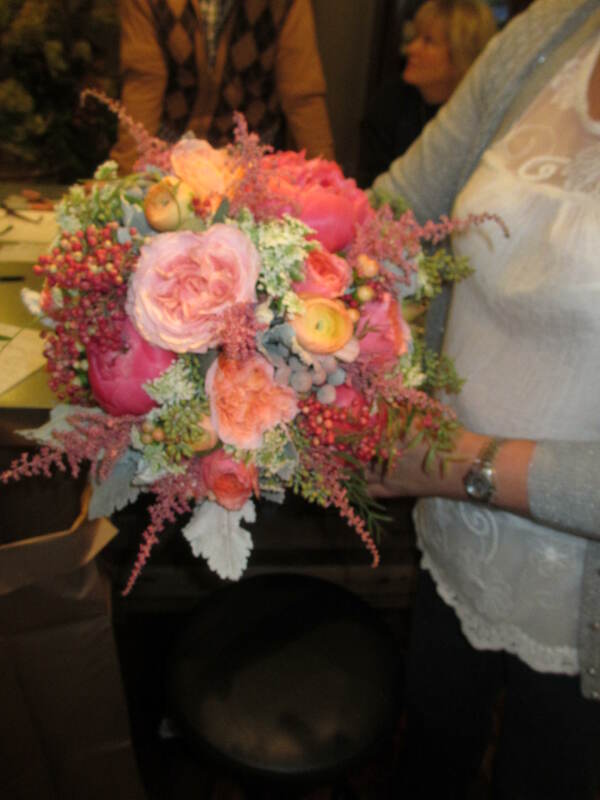 She created one of her signature bridal bouquets for us using pink garden roses, coral peonies, peach ranunculas, hypericum, astilbe, dusty miller, & pepper berry and then finished it off with her special ribbon treatment. Loved it! Thanks for all the advice, tips, and laughs Holly!! It is a pleasure to read About Holly’s class and enthousiasm. Very Nice – great idea of Laura to invite other tutors.